Archeomatica is an Italian magazine focused on technologies applied in the field of cultural heritage, and beside a very lively website, it features a tri-monthly paper newsletter, also available on line. 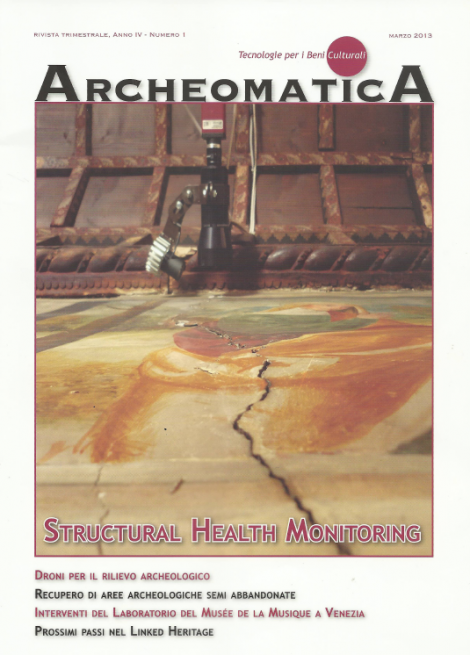 Archeomatica aims to publish papers of significant and lasting value written by scientists, conservators and archaeologists, and to disseminate information about new methodologies and experimental results. The best up-to-date scientific applications and the exchange of ideas and findings are highlighted in this magazine, that is written in Italian but also hosts English, French and Spanish articles. 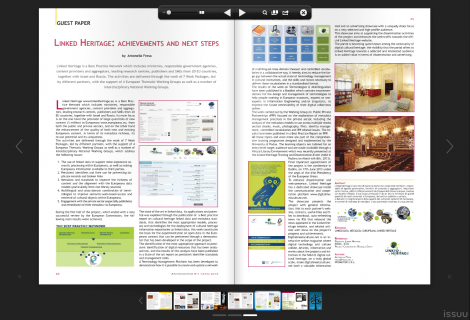 The issue n. 21 (March 2013) includes as "guest paper" a wide overview about Linked Heritage. The article, in English language, was written by dr. Antonella Fresa and dr. Claudio Prandoni, the Technical Coordination of the project.